As a professional fine art crating and shipping company operating all over the world since 1995, we have seen many interesting projects in one way or another related to art. For example, Fine Art Shippers is very proud to work with Impact Art Gallery, a unique charitable gallery that gives art buyers and artists the power to make an impact on whatever cause they believe in, and we are really happy to ship art for Tigran Tsitoghdzyan who creates incredible paintings in a very distinctive photorealistic style. Besides, our fine art crating and shipping company was entrusted to move a mural by the world’s most famous anonymous artist Banksy. The truth is that our world is full of talented people that never cease to amaze us, and David Everitt-Carlson is one of them. 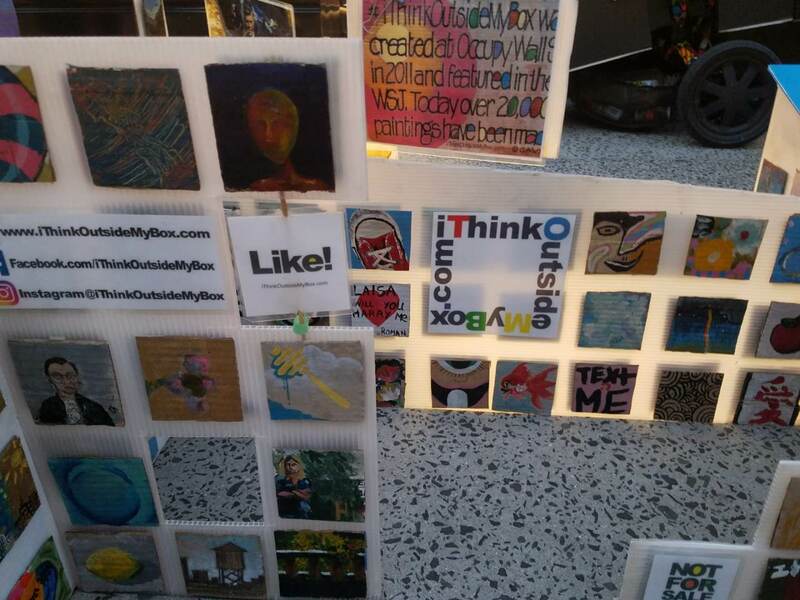 A social organizer, an author, a professor, an entrepreneur, a journalist, a filmmaker, a graphic designer, a signer, an actor, an artist – this is all about David Everitt-Carlson who is indeed an amazing person trying to change the world for the better and make people happy with his art. 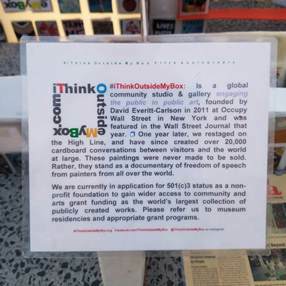 #iThinkOutsideMyBox or #iTOMB is the latest and perhaps most important David Everitt-Carlson’s project aimed at engaging people in public art. It was born in NYC in 2011 as performance art and eventually became a global community painting studio and unique art gallery that encourages self-expression and creativity in artists of all ages. Truly impressive! You should definitely pay your attention to this outstanding project! Very recommended by our team of art crating and shipping specialists!